IP Access Media Gateway; 2x ISDN-S0 int., integr. VDSL2/ADSL2+ Modem (Annex B/J,Vectoring, ALL-IP), ..
IP Access Media Gateway; 4x ISDN-S0 int., integr. 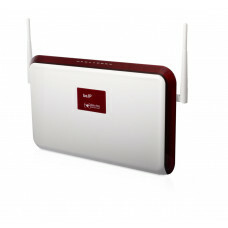 VDSL2/ADSL2+ Modem (Annex B/J,Vectoring, ALL-IP), ..
IP-TK-System; 2x ISDN-S0 int., integr. VDSL2/ADSL2+ Modem (Annex B,J,Vectoring, ALL-IP), 4xFXS, IP R..
IP-TK-System; 2x ISDN-S0 int., integr. VDSL2/ADSL2+ Modem (Annex A,Vectoring, ALL-IP), 4xFXS, 1xFXO,..